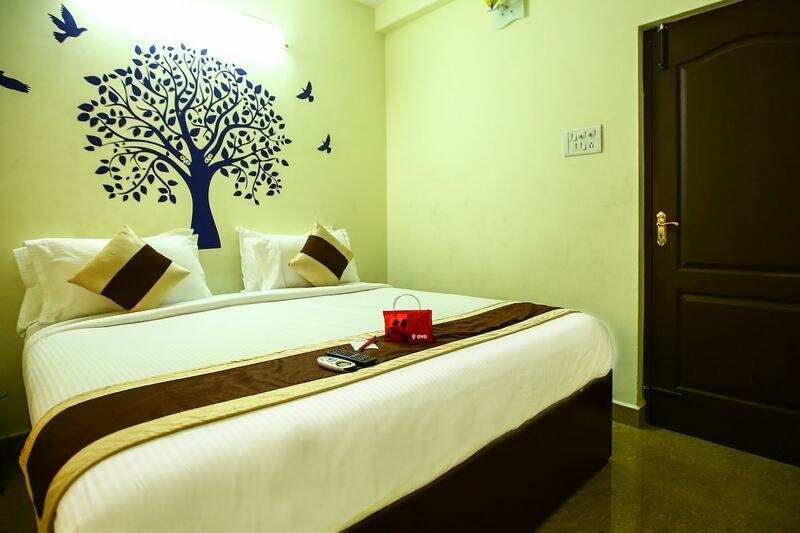 Apartment T Nagar is a beautiful hotel with a pleasant ambience. The bedrooms at the hotel are all decorated with light colored walls and dark wood furnishings, keeping the ambience lively. One of the walls has a beautiful decal, adding to the charm of the space. There is also a living room which has another coffee table and sofas for guests to sit back and relax while having a conversation. A dining area is also made available for the guests to use whenever they want. Other amenities provided by the hotel are free Wi-Fi, parking facility and a card payment option.